A school for self-study in virtual worlds. Virtual worlds offer instructional designers the opportunity to design experiences to fit their instructional objectives. With control of the environment, the designer may be able to create an environment which meets the instructional objectives without relying on the presence of an instructor for most or all of the time. This instruction seems well suited to meeting the needs for adult instruction. If you learn how to learn, you don't need a teacher. Object movement can be scripted in the object. Sorry for the audio problems. This is live capture. and not fully implemented later, so the effects were not well shown. Scripters don't need a physics engine to make a bullet go in a parabolic path. We know how to script a parabolic path, even though it is "rocket science." We know how objects should behave under physics. Kayaker got tired of trying to cope with various physics engines. So he stopped using them and scripted the movement himself. You can too. Even if grids have a physics engine, you don't have to use it. Why every museum should have the capability to create and present virtual realities. "Of course every museum should have something like this" says Pit Vinandy, referring to the virtual reality component at Fort Thüngen Museum and the City Museum of Luxembourg, where his team has implemented an immersive way to connect to local history, a method to time travel and experience culture and society as it was hundreds of years ago. 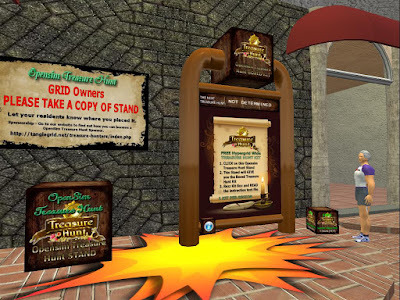 2015 P2P: PROMO: TanGLe Grid: Hypergrid Treasure Hunt. Organization phase. The HGPprojects. TanGLe Grid: Hypergrid Treasure Hunt. Another good feature of the Hypergrid: It connects people: they can share events and have fun together. Here I report on a treasure hunt in the process of organization. Another step toward organizing the HG movers and shakers--what I am calling the Hypergrid project. All Hypergrid-enabled grids are invited to get involved. The organizers are looking for sponsors to donate cash prizes or item prizes. System seems designed for re-use. Are you thinking about a treasure hunt? 2015 HELP: How to search this blog for what interests you. How to search this blog for what interests you. This blog is curated to help people find articles of interest to them. 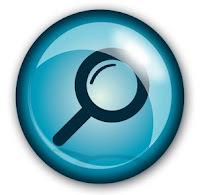 Here are several ways to find what you want in this blog. The Short Poetry Workshop this week revisits the 6th Century Malaysian form - the Pantoum, which is a series of quatrains with repeated lines. It can be rhymed or unrhymed but must make use of repeated refrains from one quatrain to the next. the Fair is gone but the video lingers on. Full disclosure of what we do in virtual worlds. A group of virtual comedians get together at a bowling alley. Real comedians consider comedy to be fun. Right For Me by Gweeb. Another video production by Fuschia Nightfire. with a new secret ingredient! Grids have their own calendars and so do some communities. The secret ingredient here is that HYPEvents will scrape those calendars and publish what it finds. No extra work by event managers. They just tell HYPEvents the calendar URL. Seek outworld communities that would be interested in your project. Join or create a Google community and Facebook group relevant to your project. Make a video showing your project and avatars doing things in it. Put your video on your blog and link to that in your groups/communities. Create a web page to tie your promotion work together in one place. Hold events and put them on calendars and blogs. How can people get more information about this on the web? 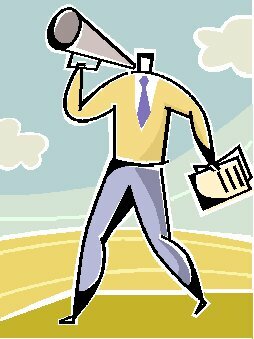 Do your have special events that will attract people? What will cover the costs of operation? What is your objective here? How will you know when you reach that? 2015 BIZ: "How do I import things into Kitely to put them on Kitely market?" A job for Ann Tree Prenyour? so I can put it on Kitely market?" A job for Ann Tree Prenyour? Crea wants to import content into Kitely to put it on Kitely Market. Crea wants an easy and reliable way to import. How does Crea get her stuff into Kitely? Come back after the break to hear Ann Tree Prenyour say, "You people are all amateurs!" The Short Poetry Workshop this week is Zen Poetry with Ngagpa Writer as guest host. Zen Poetry has its roots in the Chinese T’ang Dynasty when spiritual attainment was gained through the discipline of poetry. If you haven’t been to one of Ngagpa’s Zen workshops before, then you don’t want to miss this one. Ngagpa will focus on both poetry and painting. 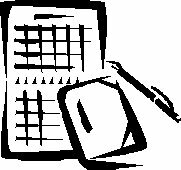 2015 WRITE: BLOG: The whys and hows of blogging. 2015 VIDEO: ART: Death of Death?